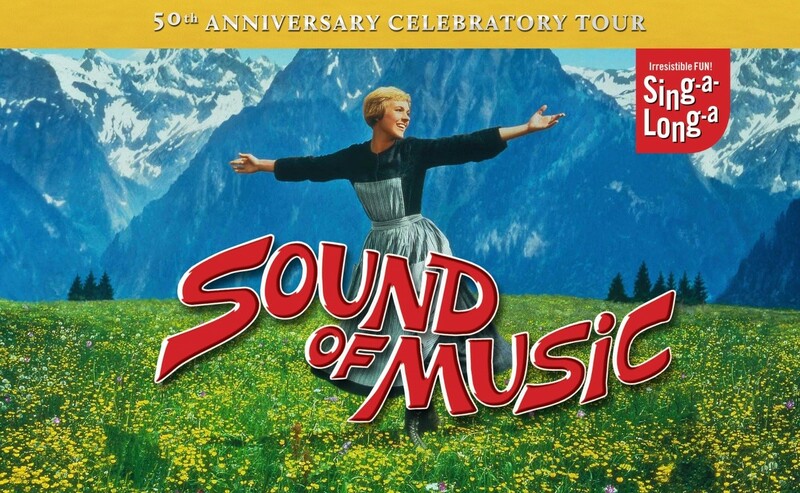 THE endearingly popular Sing-A-Long-A Sound of Music comes to St David’s Hall next Thursday (30 April) for a feast of family fun. Plus, this special show celebrates the 50th anniversary since the release of the classic film version of the musical! The Sound of Music first built its massive reputation as a Broadway production written by legendary composers Rodgers & Hammerstein in 1959. But it was the release of the movie starring Julie Andrews and Christopher Plummer in 1965 that really saw the franchise skyrocket in popularity. And it’s captivated generations of families worldwide ever since! Having first visited London’s West End in May 1999, the Sing-A-Long-A Sound of Music show has played to packed houses across the globe including the Hollywood Bowl in Los Angeles every year! This fabulous production features glorious full-screen technicolour fun featuring subtitles so that the whole audience can sing along with the von Trapps! The evening starts with a vocal warm-up, and comes complete with a ‘Magic Moments’ props pack to be used at various stages of the film. Remember to come dressed as your favourite character too as the best will be invited on stage to show off their cool costumes! Experience the unforgettable Sing-A-Long-A Sound of Music as St David’s Hall is transformed into 1930s Bavaria for one night only! Tickets are still available priced £15 (plus a £2.95 ticket service charge per transaction).